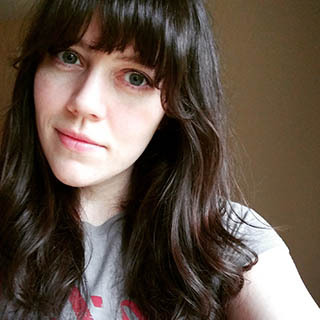 I'm feeling all the cute things right now. It's nearly spring, and baby animals are making their way into the world. 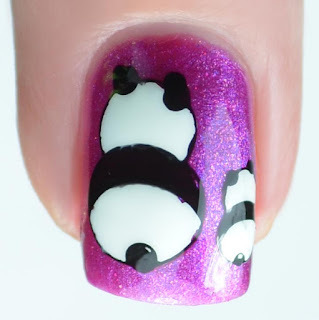 I've shared cats, bunnies and a whole slew of animal nail art, but I haven't done any panda themed nails... until now. When I picked out plates from Harunouta, I originally picked out the rabbit themed plate because it had adorable bunnies on it. I never realized that it had a couple of panda themed stamps until I saw it in person. 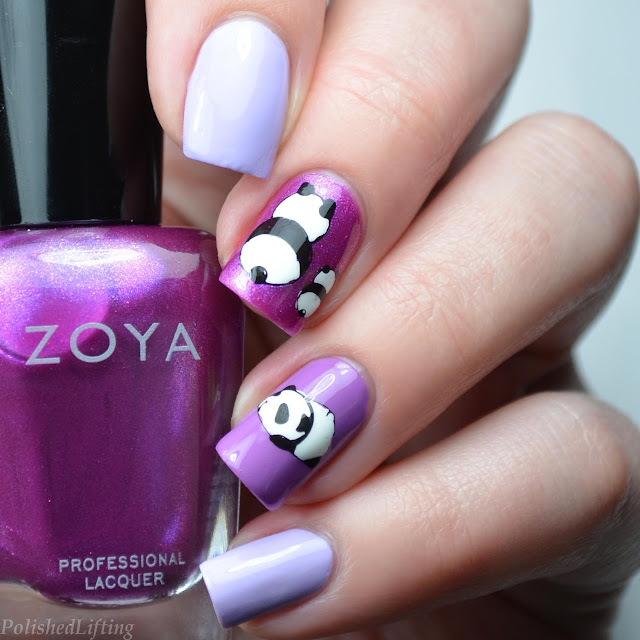 I decided to highlight those stamps because of the adorable baby pandas. 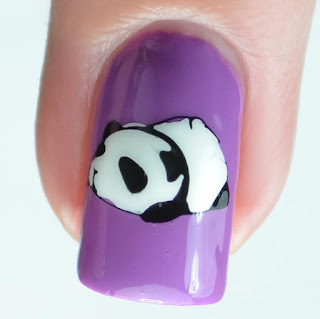 I mean, what's cuter than a rolly-polly baby panda? Ok, maybe a baby red panda, but you get what I mean. If you enjoyed this post you might like Pusheen Bookworm Nail Art featuring Different Dimension and Harunouta and Neon Spring Bunnies featuring Bliss Polish and Harunouta.